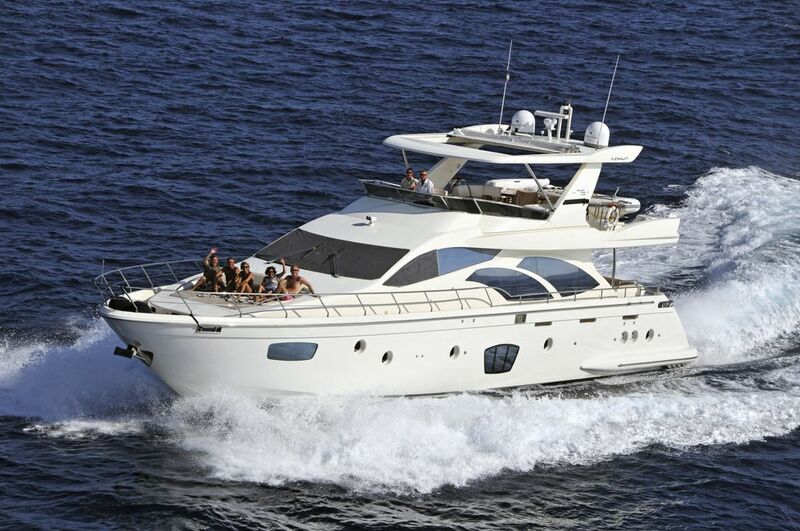 Luxury Motor Yacht DON’T ASK is an Italian Azimut design built in 2005 and measures 22.94 meters (75.3ft), she can accommodate up to 6 charter guests in 3 cabins. She has a sleek yet comfortable interior; the salon is spacious and light offering 2 off-white settees and 2 lounge chairs with a cocktail table and white carpeting, forward of the salon the formal dining space features a modern glass table, the entire space has a roomy feel thanks to the ample windows. 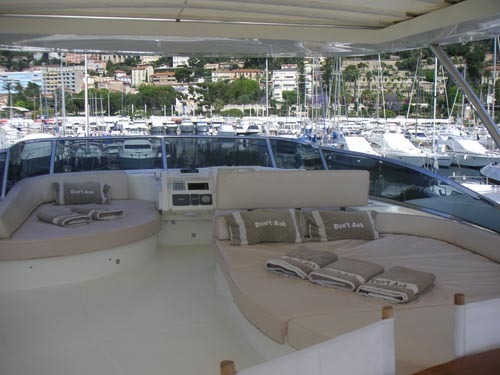 Charter Yacht DON’T ASK offers guests plenty of deck area; the aft deck boasts an alfresco dining option which can be accessed directly from the salon through sliding glass doors, further aft, steps lead down to the generously sized swim platform. 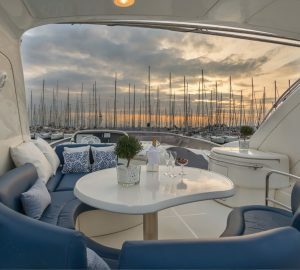 Above the main deck, the flybridge offers another alfresco dining option, BBQ, drinks fridge, CD Player and ample lounging and sunning space under the innovative retractable roof. 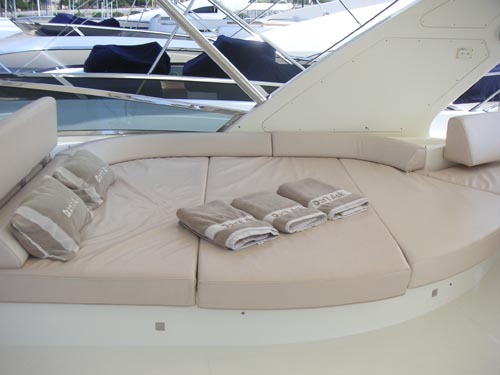 The foredeck boasts a further large sunpad. 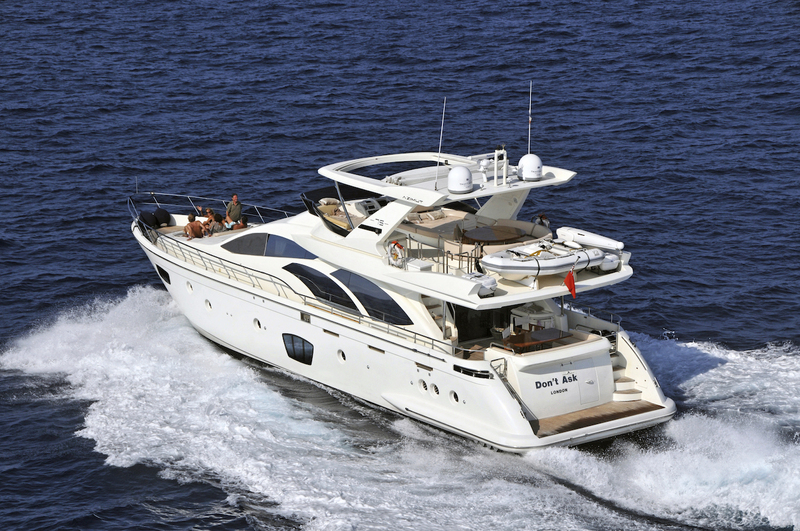 The Azimut yacht is fitted with 2 x 1360hp MAN engines and cruises at speeds of up to 23 knots with maximum speeds of 27 knots. 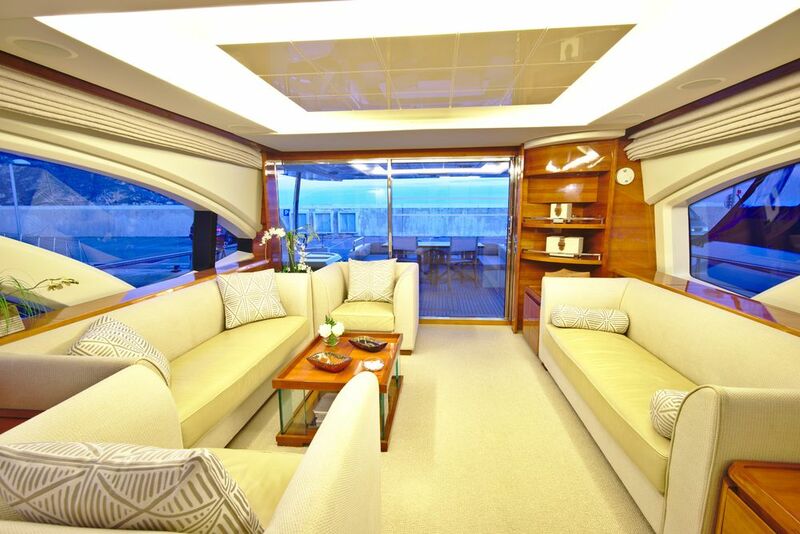 Motor Yacht DON’T ASK can accommodate 6 guests in 3 cabins, the Master stateroom features a double bed, small fridge and safe, Phillips plasma screen 26" TV with Astra satellite box, DVD & CD player. 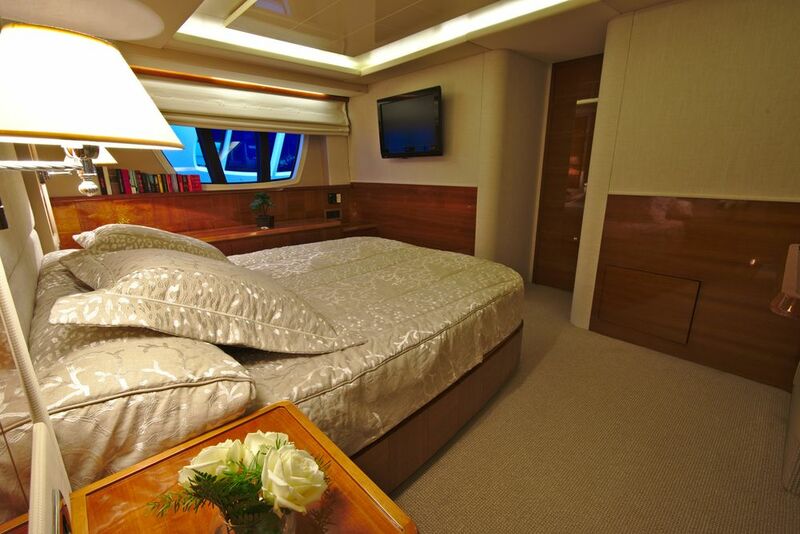 The Master staterooms en-suite facilities are adorned in marble and offer a large shower. 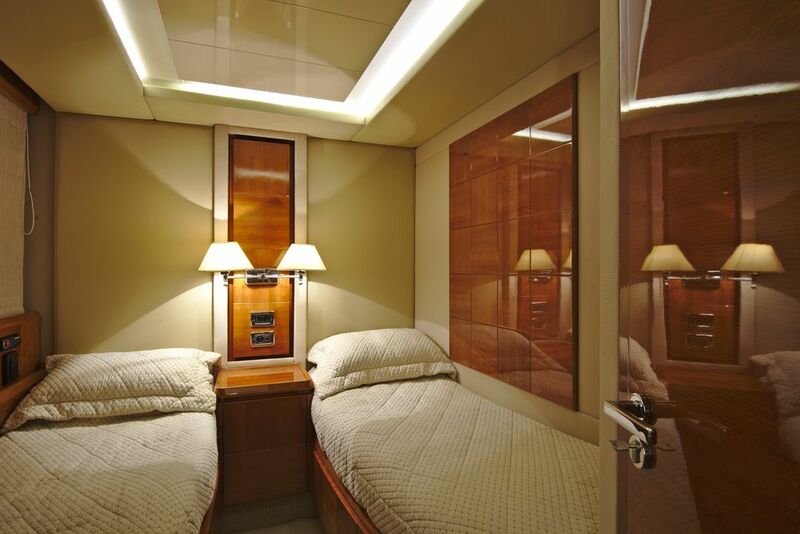 The VIP cabins has a double bed, Astra satellite TV,CD and DVD player, with en-suite facilities. 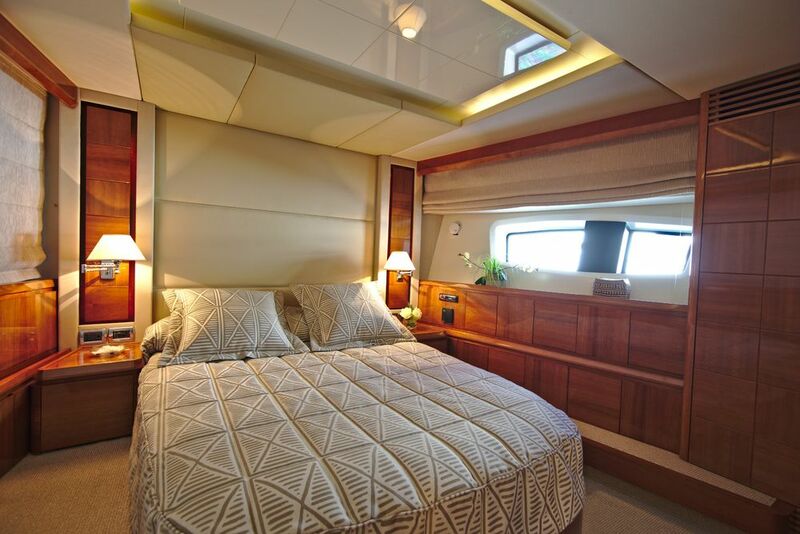 A further twin cabin also offers Astra satellite TV, CD and DVD player and en-suite facilities. 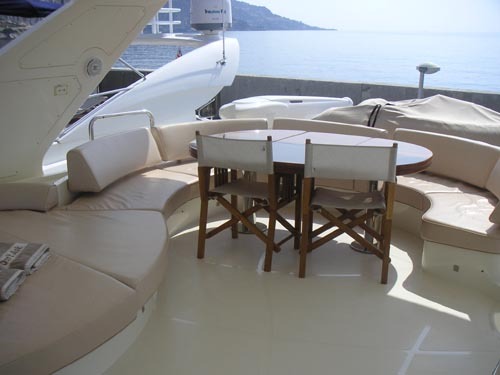 VIP with double bed, Astra satellite TV/CD/DVD player. 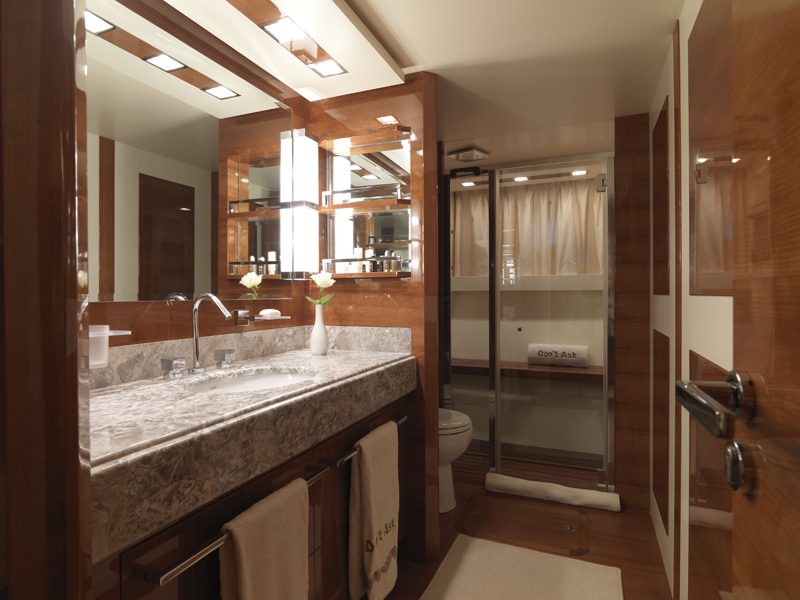 Marble bathroom, with en suite shower. 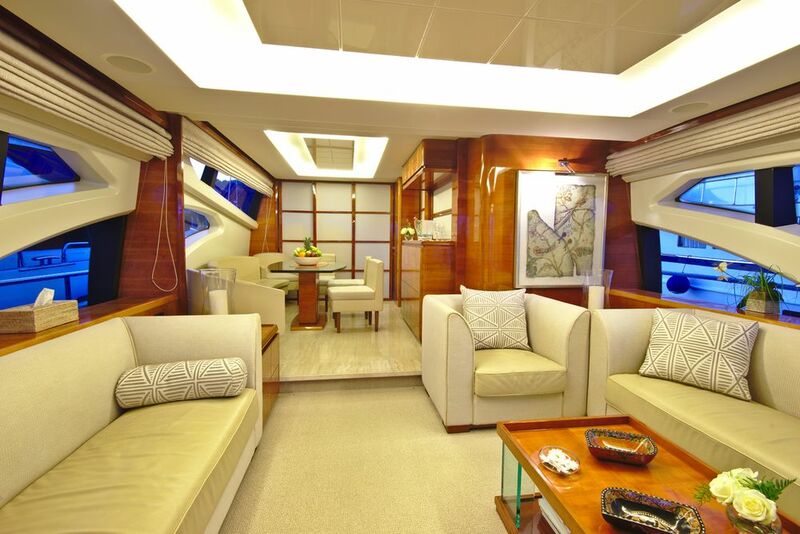 Twin cabin with Astra satellite TV. CD/DVD player. En suite Shower.